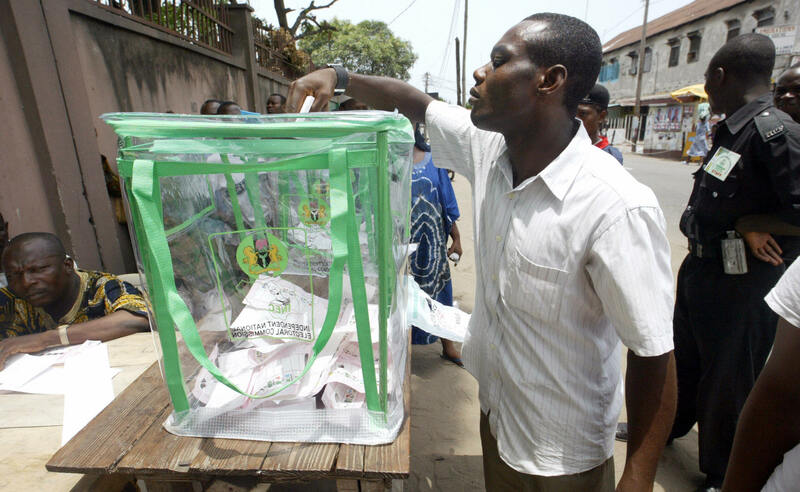 The Independent National Electoral Commission (INEC) on Monday raised alarm over a new method of vote buying being devised to undermine the voting process. INEC Chairman Mahmood Yakubu disclosed this in Abuja at the presentation of the Voter Register for the 2019 general election to political parties. Yakubu said that the commission had received credible information that some partisan actors were going round buying up Permanent Voter Cards (PVCs) from voters or financially inducing them to collect the Voter Identification Numbers (VIN) on their PVCs. “We want to reassure Nigerians that we are aware of the new tricks. It is a futile effort. Yakubu said that the commission had responded to the vote buying menace in three ways, including the alteration of the configuration of polling units by moving the ballot boxes closer to the voting cubicles, making it difficult for voters to expose their marked ballot papers. “ Secondly, we have introduced a partial ban on the use of mobile phone and other photographic devices by voters while in the voting cubicles. Yakubu disclosed that after the mandatory display of the register in all polling units nationwide for claims and objections from Nov. 6 to Nov. 12, 2018, the final register for the 2019 general elections stood at 84,004,084 voters. He also disclosed that there was no change in the number of polling units and voting points used for the 2015 general elections and the 2016 area council elections in the FCT. He said that the commission had printed and delivered the PVCs to the states for collection, urging all registered voters to approach any of its local government offices and other designated collection centres nationwide to pick up their cards in person, not by proxy. Yakubu, who re-emphasised that the Smart Card Readers would be used for the 2019 general elections for the accreditation of voters, disclosed that the register of voters had been modified. He said that where the biometric authentication failed, the voter would be required to thumbprint a box next to his/her picture on the register and to enter his/her mobile telephone number before proceeding to vote. “The Commission has modified the Register of Voters for the 2019 General Elections, accordingly. “Consequently, the separate Incident Form used in previous elections which is only completed by the Presiding Officer without the involvement of the voter is now abolished. Yakubu reminded the leaders of political parties that the deadline for the submission of party agent for Presidential and National Assembly elections was Feb. 1, while that of governorship, State Assembly and FCT Area Council elections was Feb. 16. He further said that INEC would keep close watch on campaign finance by political parties by monitoring spending by parties and candidates as well as individual and group donations to campaign organisations. “The Commission has designed Campaign Finance Reporting Forms to ensure compliance with the reporting requirements by parties. Meanwhile, INEC Director of Voter Register, Mr Iro Gambo, while making a presentation, said that the South- South had 12,841,279 registered voters, representing 15.29 per cent of the 84,004,084 total number of registered voters. According to him, the North Central has 13,366,070 voters, representing 15.91 per cent; South-East 10,057,130 registered voters, representing 11.91 per cent, and South-West 16,292,212, representing 19.39 per cent of the total number of voters. He added that 20,158,100 voters, representing 24 per cent were registered in the North-West, while the North- East has 11,289, 293 representing 13.44 per cent of the total registered voters. Giving a breakdown of the figure by gender, Gambo said that men constituted 39,598,645, representing 47.14 per cent while the remaining 44,405,439 making up 52.86 per cent of the voters were women.